Our family went to a Minnesota Lynx game a month ago, and we had a great time. The MN girl's team was playing against the Tulsa Shock. We were really excited about going to the game, and this was our second game that we have attended. 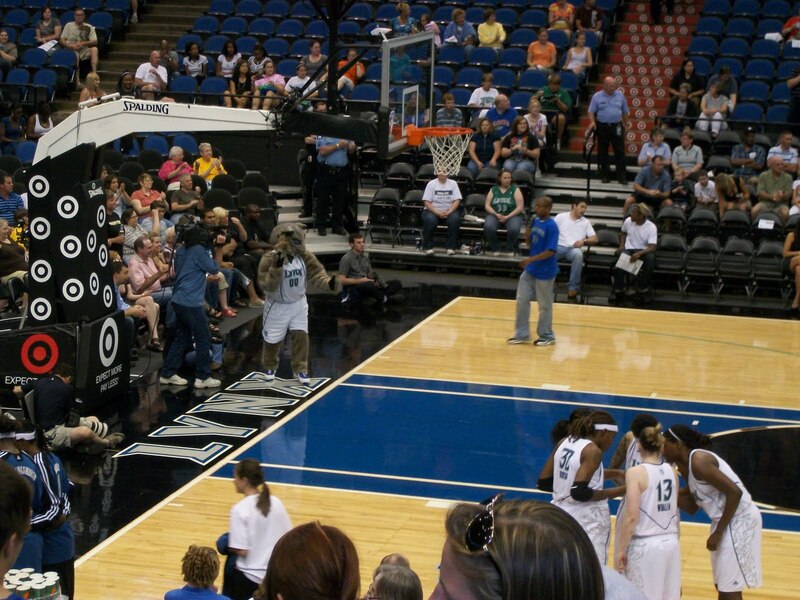 My daughter loves the Lynx mascot! 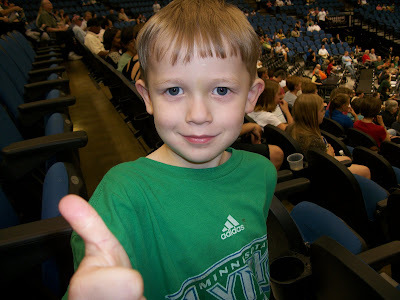 Caleb is a basketball fan, and he proudly wore his MN Lynx logo shirt. It was quite big on him, but he didn't mind. He was happy to support our team. 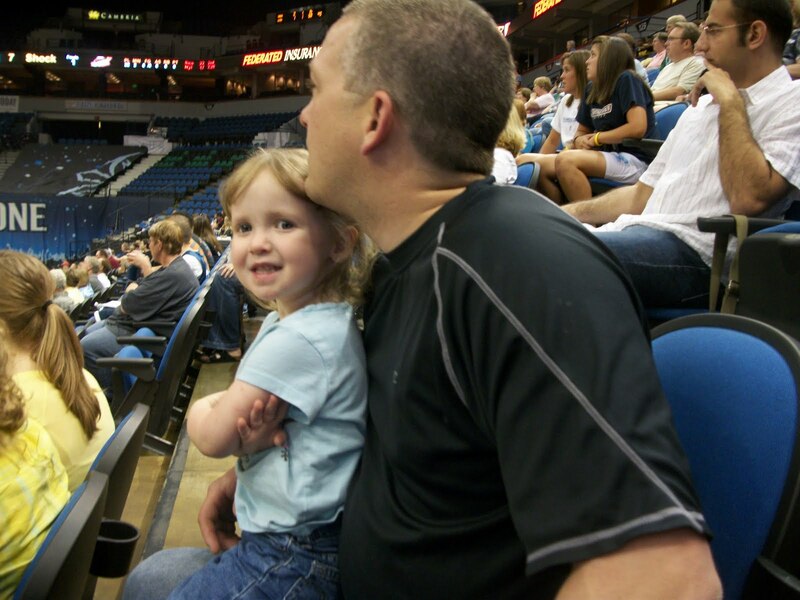 The WNBA games are family friendly. We brought our kids, and the youngest was 18 months. He had fun watching the girls play and getting in on all the action. 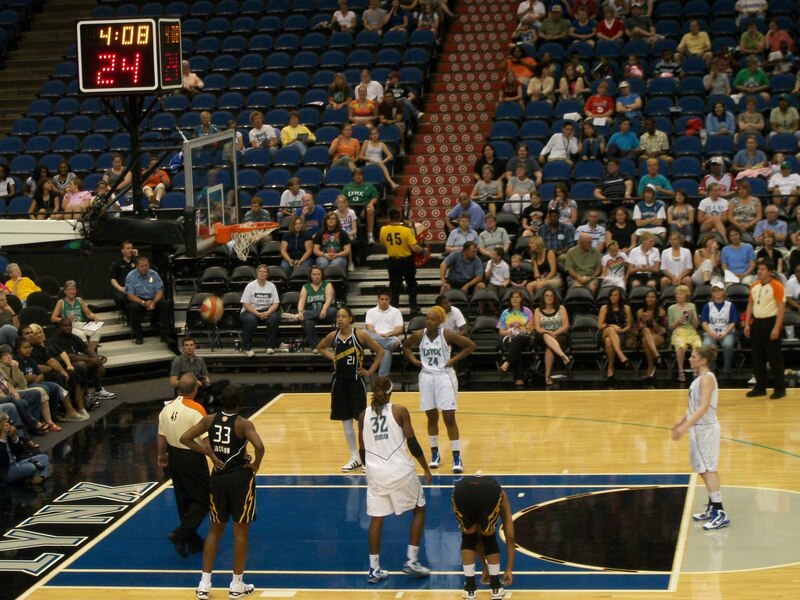 The MN Lynx girls played a great game, and the score was very close through the game, which made it very exciting. I love that the fans really get into cheering for those ladies. The Lynx gals work so hard, and play with excellence. 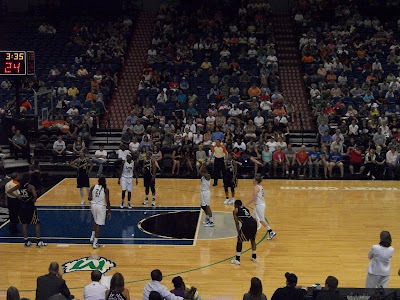 WNBA stands for Women's National Basketball Association. These ladies are hard workers, and many of them are moms doing their best at what they do! I admire the hard work and dedication they put into their career. I am sure it is hard to be on the road and being away from their family. 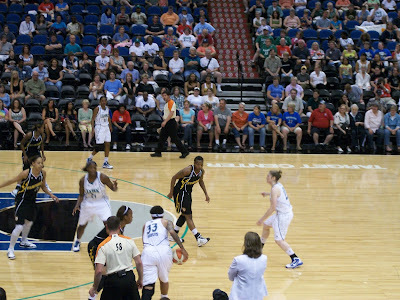 Check out this link to see some pictures of mom pro basketball players: click here. 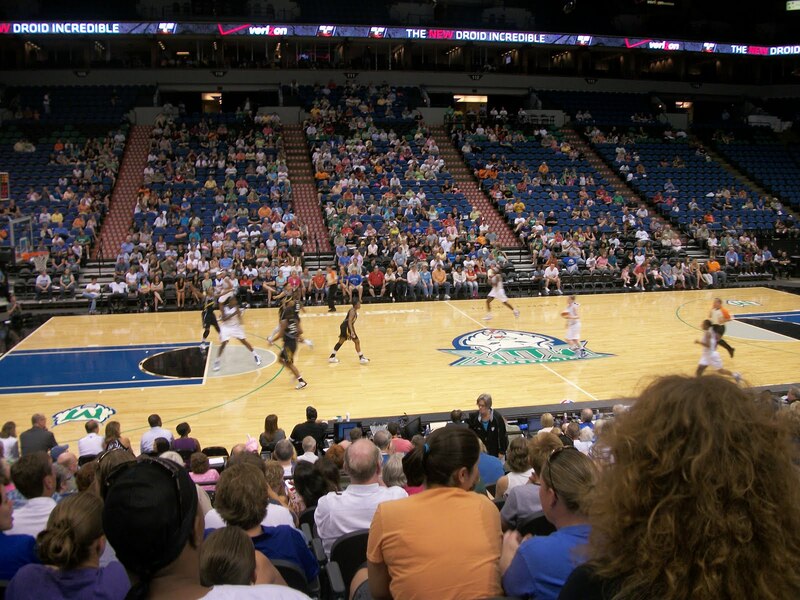 The WNBA games are a great place to enjoy family time together, enjoy a great competitive game, get away from the outdoor heat, have some treats, and cheer on our team! The WNBA games are great entertainment, and the players are great role models. A time out was called, and you can see that the team really works well together. One of our new favorite players, Seimone Augustus, had scored 27 of the winning points! That is fantastic! It was really fun watching her in action, as well as the other players. During half time, a few participants from the audience went into these over sized hamster balls to race each other. It was quite entertaining! My kids really enjoyed the half time show. The WNBA does a great job to make their games, and half time show, a treat for the whole family. I snapped a photo of the kids next to the poster in the hallways. 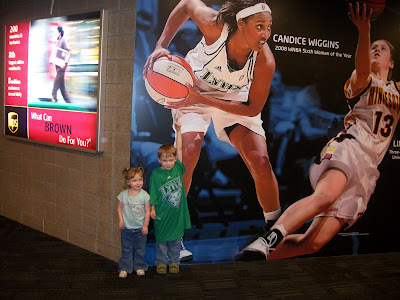 They had a great time at the game, and loved the LYNX logo shirts. The shirts were a little big for the kids, but they wear them as night shirts, and love to show off the Lynx team! GO LYNX! 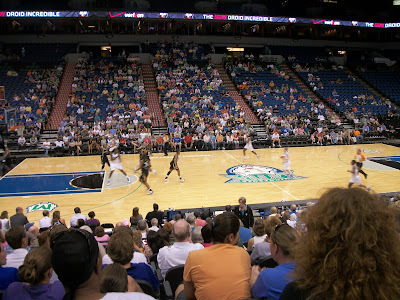 We won the game at home (Target Center) 78-67. It was a great game, and I was super pumped that the Lynx won the game! 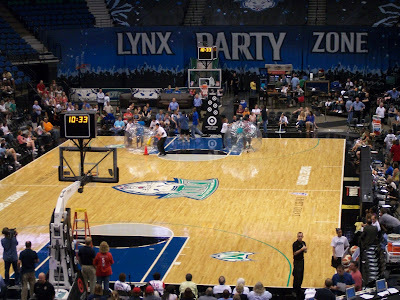 It was a very close game, and it was great that the Lynx won the game! The two teams sure had a good fight to keep the high score, and this game was truly a nail biter! 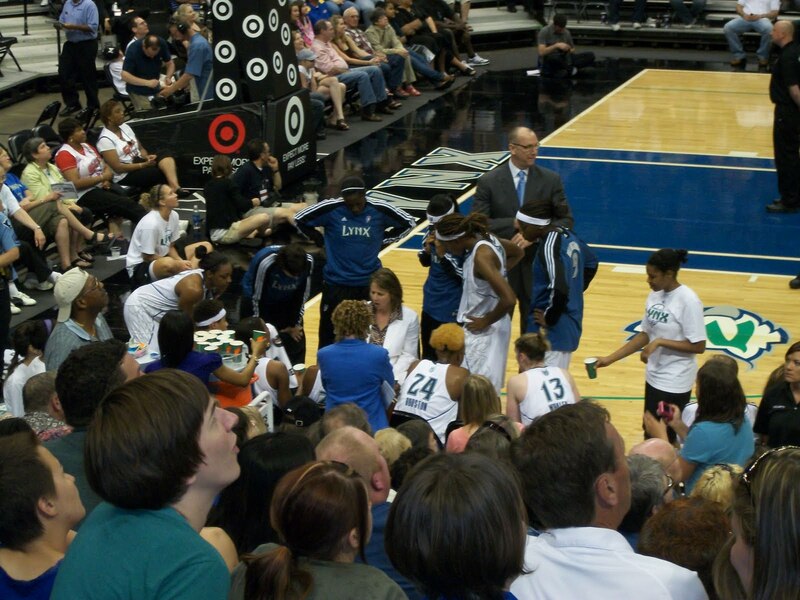 I also heard that the MN Lynx had defeated the Shock in Tulsa on the following Saturday night as well, 92-78! 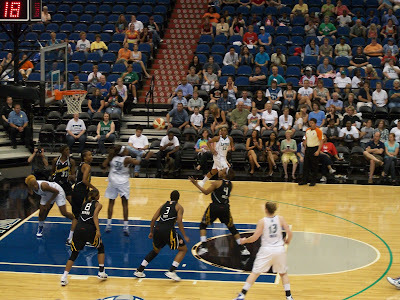 You can go to the WNBA game in a city near you! I have a special code that you can sign up with to get a great deal on your tickets: enter WNBABLOG at ticketmaster. These deals are too good to miss - some markets are as much as 60% off tickets! If you don't live in a WNBA market, forward the fun to your friends and family who do. Offers are good through the end of the regular season (August 22). 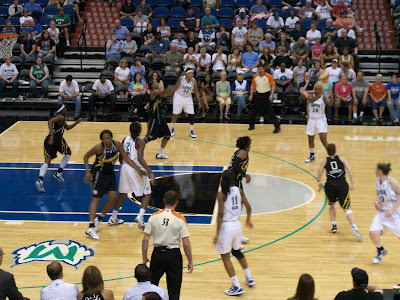 WNBA teams are Atlanta Dream, Chicago Sky, Connecticut Sun, Indiana Fever, LA Sparks, Minnesota Lynx, NY Liberty, Phoenix Mercury, San Antonio Silver Stars, Seattle Storm, Tulsa Shock, Washington Mystics. 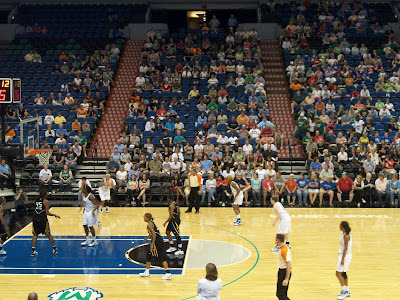 The WNBA is deeply committed to creating programs that improve the quality of life for all people, with a special emphasis on programs that promote a healthy lifestyle and positive body image, increase breast and women's health awareness, support youth and family development, and focus on education. From August 3 - 10th all teams will be hosting in-arena promotions and activities. Keep up to date on all the WNBA happenings on Twitter, Facebook and YouTube. This review was made possible from One2OneNetwork. 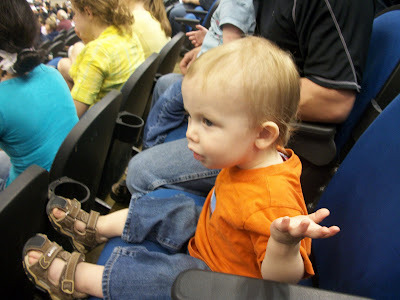 They have provided me with tickets to the WNBA game for my family, and t-shirts for review purposes. I was not compensated for my time or written review.